Have just stumbled upon a great free tool called Videonot.es. Essentially, you can load videos from lots of different online sites such as YouTube, Khan Academy, Vimeo, Coursera and more. 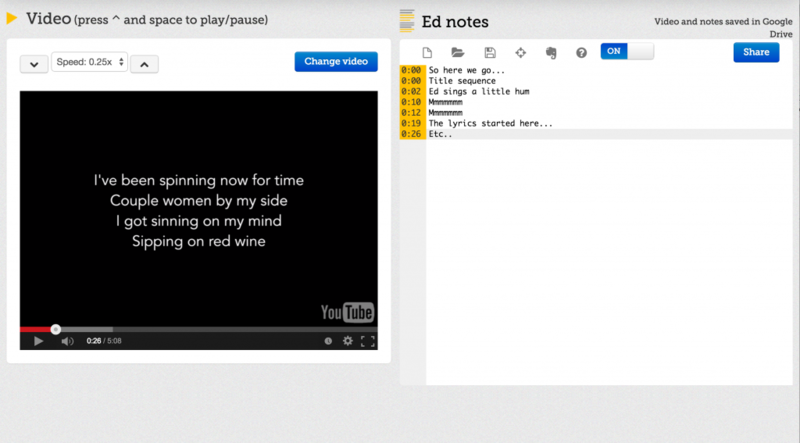 As you work through the video making your notes alongside it, so the notes are time-stamped against the video. You can then, go back through your notes with the video jumping to the appropriate time in the video. 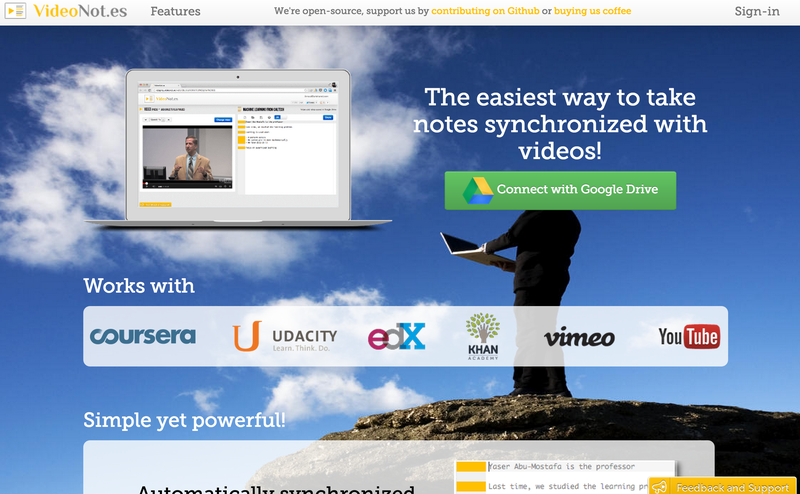 Pretty powerful and great for supporting flipped learning! Given that it is also free and links to your Google Drive to save and keep all this lovely information in, it means you can access it on the go too.